Farmer, MLA (1903-1907), MLA (1908-1910). Born at Middlesex, Canada West (now Ontario) in August 1860, son of William David Lynch (?-? ), nephew of Walter Lynch and James S. Lynch, he came to Manitoba with his family in 1871. He moved to California in 1874 and was educated at schools of Sacramento. He returned to Manitoba in 1883 and settled on a homestead near Westbourne. 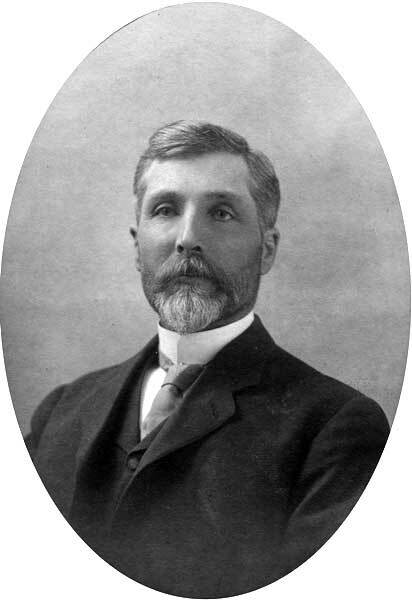 He was an unsuccessful candidate for a seat in the Legislative Assembly at the 1899 provincial general election but was elected at the 1903 general election. He was reelected in 1907 but was defeated in 1910, being replaced by C. D. McPherson. In 1885, he married Christina Ann Morrison (1866-1942), daughter of David Morrison. They had five children: Mary Helen Lynch (1886-? ), Charlotte Isabel Lynch (1887-? ), Lillian Lynch (1889-? ), Catherine S. Lynch (1892-? ), William Walter Lynch (1899-? ), and George Morrison Lynch (1910-?). He died at Winnipeg on 18 April 1941 and was buried in the Westbourne Cemetery. 1901, 1906 and 1911 Canada censes, Automated Genealogy. “E. D. Lynch,” Winnipeg Free Press, 21 April 1941, page 15. We thank Brad Lynch for providing additional information used here.